The Indians received a scare when Jose Ramirez fouled a ball off his left knee during the third inning of today’s game against the White Sox. Ramirez had to be carted off the field, though it seems as though the worst was avoided, as x-rays came back negative on the injury. (ESPN.com’s Jeff Passan was among those to report the news.) It isn’t clear if the knee contusion could still cause Ramirez to miss regular-season time or even require an IL stint — if the latter, it would another big blow to a Tribe infield that is already without Francisco Lindor and Jason Kipnis for the start of the season. As per the team’s official Twitter feed, Ramirez will remain at the Tribe’s Spring Training camp for treatment, and his status is undecided for Opening Day. Hanley Ramirez is looking like a strong bet to break camp with the Indians, as manager Terry Francona told MLB.com’s Mandy Bell and other reporters that “if we stay put” with roster moves, Ramirez will make the team. Today was the opt-out date in the veteran slugger’s minor league contract with Cleveland, though it looks as if a quality Spring Training performance (.844 OPS in 38 PA) has earned Ramirez the opportunity to appear in his 15th Major League season. Ramirez is something of a limited resource on the 25-man roster, as the team intends to use him only as a designated hitter, though his presence allows Jake Bauers to be spelled against tough left-handed pitching. Assuming Ramirez does officially make the roster, he’ll earn $1MM in guaranteed salary. Eloy Jimenez’s record-setting extension with the White Sox was almost completed last November at the GM Meetings, GM Rick Hahn told MLB.com’s Scott Merkin and other reporters, but the final details weren’t put into place until the two sides held face-to-face meetings over the last few days. The result was a six-year, $43MM pact, the biggest extension ever given to a player who has yet to play a Major League game. There has yet to be official word about whether or not Jimenez will be with the Sox on Opening Day, though there wouldn’t seem to be any service-time obstacles now that the White Sox control Jimenez for as many as his first eight big league seasons. The Braves announced a variety of 40-man roster moves today. In addition to losing outfielder Michael Reed to the Twins via waivers, the team outrighted lefty Jacob Lindgren, righty Jose Ramirez, and outfielders Lane Adams and Preston Tucker after that quartet went unclaimed. Each of those players will remain with the organization, having cleared waivers, though Adams has the right to declare free agency since he has previously been outrighted. With four other players returning from the 60-day DL and taking up posts on the 40-man, the Atlanta organization now has nine openings left to work with as the offseason gets underway. The 25-year-old Lindgren was a second-round pick of the Yankees in 2014 and quickly rose to the Majors, debuting in 2015. However, his promising career has been derailed by a pair of Tommy John surgeries — the most recent of which cost him the 2018 season. Because of all the time he’s spent on the big league 60-day DL, he’d have been arbitration-eligible this winter despite only having tallied seven MLB innings. MLBTR contributor Matt Swartz projected him to earn only a modest $600K salary through that arbitration process, though. Ramirez, meanwhile, missed most of the 2018 season owing to shoulder troubles. He tossed just 6 1/3 innings at the big league level with the Braves this year, though he’s previously functioned as a quality middle reliever under manager Brian Snitker. From 2016-17, Ramirez totaled 94 2/3 frames of 3.33 ERA ball with 8.5 K/9, though he’s also struggled with his control (4.5 BB/9, nine hit batters). Adams, 29 next month, hit .240/.345/.520 in a tiny sample of 29 plate appearances as a reserve outfielder this season. He tallied 122 PAs with Atlanta in 2017 and batted .275/.339/.468 with five homers and 10 steals in that time. Adams has a solid track record in Double-A but has struggled in Triple-A. He’s shown glimpses of talent in the big leagues, however, and is capable of playing all three outfield spots, so he should latch on elsewhere on a minor league pact as a quality depth piece with a very viable chance of returning to the Majors next year. As for Tucker, the 28-year-old turned some heads with an early-season showing that saw him hit .288/.333/.538 with three homers in 57 plate appearances. But Tucker had never managed to hit at that level in the past, and his bat quickly deteriorated (as did his playing time). Over his next 70 PAs, Tucker hit only .231/.286/.369. Atlanta traded him to the Reds in the summer’s lackluster Adam Duvall swap, and after a similarly uninspiring stint in Cincinnati, Tucker landed back with the Braves to close out the season. In all, after that fast start to the season, he hit only .202/.283/.342. Fangraphs recently released its annual rankings of the top 50 most valuable contracts in baseball, or the players who would have the highest value in a trade. High atop the list sits a pair of Indians infielders (Jose Ramirez and Francisco Lindor), while Aaron Judge, Mike Trout and Carlos Correa round out the top five. The rankings take into account the amount of money each player is owed and the length of his contract in relation to his expected future performance. While the list is top-heavy with young stars (as one might expect), there are a few surprising names later down in the rankings, and a few top prospects even make the list. Twins second baseman Brian Dozier has drawn trade interest from the Brewers, reports Darren Wolfson of KSTP. That comes as little surprise considering the tight NL Central pennant race and the fact that Milwaukee’s second basemen have combined for the third-worst production in baseball to date. However, Wolfson also reports that another (unnamed team) has been “showing stronger interest”. For their part, the Twins (who now sit 8.5 games out of first place in the division) are open to moving Dozier. The Yankees tried to acquire left-hander Brad Hand (who recently went to the Indians), but balked when they were asked to include young third baseman Miguel Andujar in the return, reports Andy Martino of SNY. That’s just one name the club had been targeting in a search for pitcher, but the prices for some of the available names (Cole Hamels and J.A. Happ, for instance), remain “insane” according to Martino. The trade interest in Orioles lefty Zach Britton is “intensifying”, according to Roch Kubatko of MASNsports.com. Kubatko says that he expects Britton to be the “next Oriole out the door.” The Braves have thrown their hat into the ring recently, while the Cubs, Astros, Phillies, Red Sox, Yankees, Dodgers and Giants have also been “in the mix”. As Kubatko aptly points out, the removal of Hand from the pool of available names should turn a lot of attention towards Britton. The Braves have provided updates on the health of righty Jose Ramirez and outfielder Ronald Acuna, each of whom presently resides on the 10-day DL. David O’Brien of the Atlanta Journal-Constitution reported the news (Twitter links). Ramirez, 28, had been one of the team’s go-to late-inning arms in 2017, when he pitched to a 3.19 ERA in 62 innings. But he stumbled early in the current campaign, allowing a dozen earned runs in just 6 1/3 innings while issuing eight walks against seven strikeouts. Perhaps it wasn’t surprising when it turned out that Ramirez was dealing with a shoulder problem. Unfortunately, the progress made to date now appears to be at risk. Ramirez had been working back to form but was forced to halt his first live batting practice session today. It’s not clear at this point whether he’ll need to go back to resting or perhaps give throwing another go, but that’s obviously suboptimal news under the circumstances. Continued uncertainty surrounding Ramirez certainly enhances the Braves’ potential need for relievers at the deadline. As for Acuna, there’s still no reason to fear that he has a significant injury. But he’s still not leaping back to action quite as promptly as seemed possible in the wake of the scary knee hyperextension he suffered while running through the bag at first base. For the time being, Acuna is still just working on physical improvements. He may resume baseball activities as soon as next week, though that’s not written in stone. Notably, O’Brien adds that the team now anticipates that Acuna will require a rehab assignment. While the Braves are no doubt still grateful that Acuna somehow avoided a much more serious problem, it will likely still be a while before he’s back in action at the MLB level. The Braves are set to promote lefty Jesse Biddle to the big-league roster, per a club announcement. 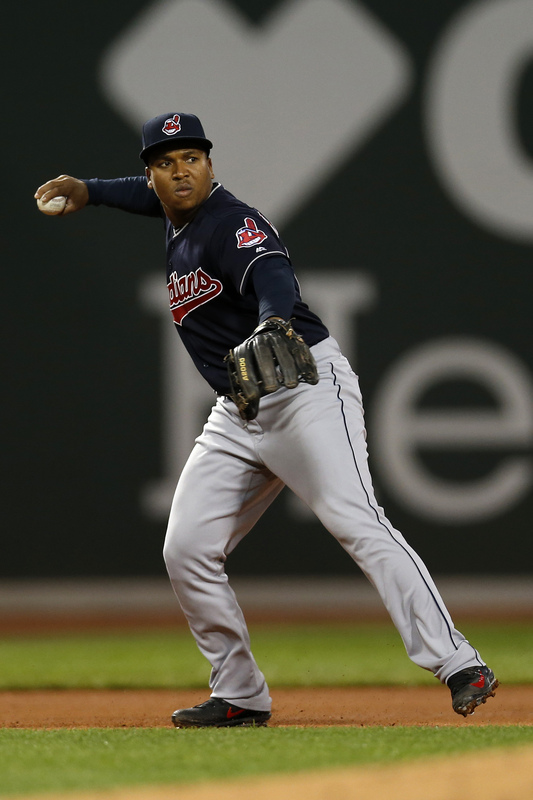 He’ll replace righty reliever Jose Ramirez, who is heading to the 10-day DL after experiencing shoulder inflammation. It’s a long-awaited call-up for Biddle, who was selected in the first round of the 2010 draft and once regarded among the game’s hundred top pre-MLB players. Injuries disrupted his progress, however, and forced him out of the rotation. Since landing with the Braves and working back to health, Biddle has shown well in the upper minors. He turned in 49 2/3 innings of 2.90 ERA ball last year at Double-A, registering 9.6 K/9 against 2.9 BB/9. And Biddle was off to an excellent start in the highest level of the minors in 2018, allowing just three hits and no runs while running up eight strikeouts against a single walk in his 6 1/3 innings. As for Ramirez, 28, this’ll be a much-needed reprieve after a brutal opening to his own season. He has also tossed 6 1/3 frames, all in the majors, but with much different results. Ramirez has not only coughed up a dozen earned runs, but has surrendered eight walks to go with his seven punchouts. Ken Rosenthal details the elements of a bittersweet postseason for Reds scouting director Chris Buckley in a piece for The Athletic (subscription required and recommended). Seven players originally signed by the Reds are currently playing October baseball with the New York Yankees and Los Angeles Dodgers, including infielders Didi Gregorius and Justin Turner. While the presence of former Cincinnati signees gives Buckley a clear rooting interest, it also evokes painful memories of the two scouts he lost to cancer in recent years. David Waldstein of the New York Times tells the fascinating story of how superstar infielder Jose Ramirez first came to the Indians. According to Waldstein, Ramon Pena (then an international scout for Cleveland) attended a three-game showcase in the Dominican Republic largely to gawk at invitees Jorge Alfaro and Martin Peguero, but noticed Ramirez playing with surprising confidence and determination. During a subsequent telephone call with a local trainer who represented the players, Pena was focused on trying to sign Alfaro. When he learned that Alfaro was asking for $1.5 million, the conversation shifted to Ramirez. Pena eventually talked the trainer down from $300,000 all the way to $50,000. After an agreement was in place, however, Pena was unable to gather the papers required for Ramirez to play in the United States, so he sat out the 2010 season and instead spent the year working out at the Indians’ facility in Boca Chica. The team managed to get Ramirez’ papers in order in time for the 2011 season, and Ramirez sped through the minor leagues, making his MLB debut just two years later. D-backs right-hander has hired Dan Lozano of MVP Sports as his new representative, writes FanRag’s Jon Heyman as part of his weekly NL Notes column. Once one of baseball’s top prospects, Delgado didn’t pan out as a starter but has become a solid piece in the Arizona bullpen in recent years. He’s made four starts this year and fared nicely, but he’s back in the ’pen and is on his way to perhaps his best season. Through 51 2/3 innings, Delgado has a 3.48 ERA with 8.5 K/9, 1.6 BB/9 and a 46.3 percent ground-ball rate. Delgado, 27, is controllable for one more year before hitting the open market after the 2018 campaign. Indians utilityman extraordinaire Jose Ramirez will move his representation to the Wasserman Media Group, SB Nation’s Chris Cotillo tweets. It seems that Ramirez is sticking with agent Rafa Nieves, who just joined Wasserman. Ramirez has only just embarked upon a new, four-year deal with Cleveland that was inked late in Spring Training. With two options included, the contract covers all of Ramirez’s potential arbitration eligibility and allows the organization to control the switch-hitting 24-year-old through his age-31 season. He had earned the deal after a strong 2016 season, but his stock has risen yet further after opening the 2017 campaign with a .322/.376/.557 slash through 290 plate appearances. Notably, Ramirez has already swatted 11 long balls, matching last year’s tally in less than half the trips to the plate. Also moving to Wasserman is top Nationals prospect Victor Robles. Though he only just reached his twentieth birthday and hasn’t yet reached the upper minors, Robles received consensus top-ten leaguewide prospect billing entering the current season. He hasn’t disappointed, slashing .296/.393/.505 with six home runs and 13 steals through 233 plate appearances at the High-A level. While it seems unlikely that Robles will make it to D.C. before the 2018 season, he could be a foundational piece for the organization. Meanwhile, Twins shortstop Jorge Polanco will take his business to Octagon and agent Ulises Cabrera, according to 1500ESPN.com’s Darren Wolfson (via Twitter). The 23-year-old switch-hitter entered the current season with 105 days of MLB service, meaning he won’t be able to qualify for arbitration until at least 2020 and can’t qualify for free agency until 2023. Polanco was a highly regarded prospect who raised expectations with a solid performance in his first extended MLB stint last year. He has struggled thus far in 2017, though, with a .242/.294/.338 batting line through 219 plate appearances. MARCH 28: Cleveland has announced the signing. MARCH 25: Ramirez receives a $2MM signing bonus and a $571.4K salary for 2017, Paul Hoynes of the Cleveland Plain Dealer reports. Ramirez will earn just under $2.429MM in 2018, so he’ll make a combined $3MM in salary over the next two seasons. The rest of the contract breaks down as $3.75MM in 2019, $6.25MM in 2020 and $9MM in 2021. There is a $2MM buyout of the $11MM club option in 2022 and the 2023 club option (with no buyout) is worth $13MM. Each club option year could be increased by $1M based on escalator clauses. The deal will become official when Ramirez passes a physical. MARCH 24, 8:09pm: The guarantee includes Ramirez’s salary for the upcoming season, MLB.com’s Jordan Bastian tweets. 5:55pm: The Indians are close to finalizing a four-year deal with infielder Jose Ramirez, according to Jeff Passan of Yahoo Sports. When it’s completed, the contract is expected to promise Ramirez $26MM, Passan tweets. It will also include a pair of options valued at $11MM and $13MM, respectively; escalators could push the total value of the deal’s six possible seasons to $50MM. Ramirez, 24, has two years and 74 days of MLB service on his odometer. The deal will begin with the 2018 season, meaning it’ll cover his three seasons of arbitration eligibility and one campaign of potential free-agent eligibility. With the two options, the Indians will pick up three new years worth of control, meaning Ramirez could be in Cleveland through his age-31 season. The Indians continue to rate as one of the game’s most aggressive pursuers of new contracts with existing players. Corey Kluber, Carlos Carrasco, Jason Kipnis, Michael Brantley, Yan Gomes, Carlos Santana, Brandon Guyer, and Josh Tomlin are all playing on deals that extended the club’s control rights. Now, Ramirez appears set to join that group — most of which is set to stay in Cleveland for quite a few years. Whether the club will make a concerted effort to do the same with star shortstop Francisco Lindor remains to be seen, but he surely seems to be the club’s most appealing remaining extension target. Ramirez seemed an unlikely candidate for a sizable commitment this time last year, when he was coming off of a season in which he hit just .219/.291/.340 over 355 plate appearances. But his fortunes changed in a big way last year. Slated to play a reserve role at the outset of the season, Ramirez ended up seeing action in all but ten of the club’s games due both to necessity and his performance. Over 618 plate appearances in 2016, the switch-hitter racked up 11 home runs and 22 steals while slashing .312/.363/.462 in 618 trips to the plate. He continued to show a high-contact approach; over his career, he has been roughly average in taking walks (7.3% walk rate) but strikes out in just 11 percent of his trips to the plate. Though he’s a middle infielder by trade, Ramirez ended up playing mostly at third and in left last year. He’ll likely end up back at third at some point, but for the time being he’ll slide over to cover for the injured Kipnis. That versatility, clearly, is a key component of Ramirez’s value. Another area where Ramirez excelled last year was in the baserunning department. Though he had rated well in prior seasons, he lept to a robust 8.8 runs above average by measure of Fangraphs’ BsR, placing him fifth in all of baseball. A repeat of his 2016 season could’ve set the stage for a fairly hefty arbitration salary and enhanced Ramirez’s value yet further. But it’s easy to see the appeal of this contract, which takes away the risk of a drop in performance and sits fairly comfortably in range of many similar deals. (Plus, Jon Heyman of Fan Rag tweets, Ramirez himself is said to have wanted to land a long-term pact.) 2+ service-class players such as Ender Inciarte and Odubel Herrera landed guarantees right at the $30MM mark, but both have logged two full seasons as productive regulars. The closest recent comparable is Kolten Wong’s five-year, $25.5MM deal with the Cardinals, which included one option year.